Bombs rip through the Boston Marathon crowd. Just like the last time, hysteria engulfs New England. Alex’s injured partner clings to life, and she won’t sleep until the culprit is found. Can she push her way on to the task force? Secrets from the past come to light, and that’s when all bets are off. You think it’s over, but it’s not. Not by a long shot. The brains behind this crime aren’t from this world, and Alex’s family may not be able to escape the carnage. The ties that bind people are impossible to detect…especially those with long-standing vendettas. It’s a harrowing race to get to the killer…even as soldiers of death continue to make their mark on the city of Boston. 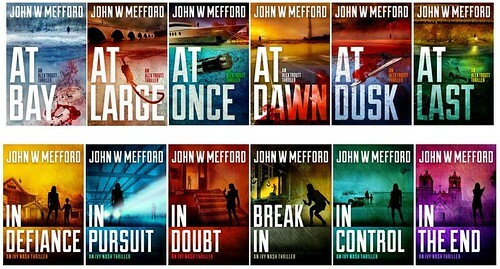 I love my John Mefford books and this one was no exception! I loved that Ozzie and Alex teamed up together in this mystery and the ending left me grasping for the next installment. This one seemed to have gotten quite personal in regards to the attacks and piecing the mystery together was tons of fun because it was all just – mind baffling! I would think I had it solved and something would happen to throw another kink in the mix and I was back to square one with Ozzie and Alex trying to figure out what in the world was going on! I am really hoping that with Ozzie still staying at Alex’s house, we will continue to see more of them together, doing the work they do best. I feel pretty certain the next installment has to have them both because I already have a feeling about the ending of this one. I am just hoping Alex can stop Ozzie’s stubbornness before it’s too late! 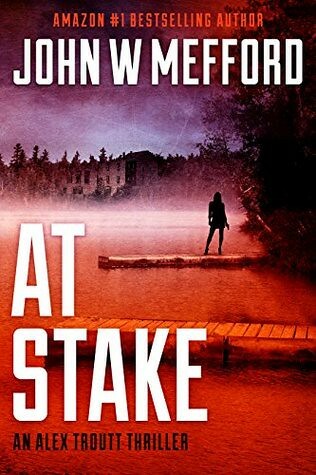 If you like a good mystery with edge of your seat action and suspense, John Mefford is the author for you. Hands down. All of the books can technically be read alone without missing the mystery and suspense, but you will want to read it from the beginning because they are just that good. Plus, it allows you to get to know each character and love them all like family. Now an epic book would be putting Alex, Ozzie, Ivy AND Christina all in one. THAT would definitely be an adventure! Read my reviews by clicking on the links!